A borrower with a mortgage of £100,000 will see an increase of £12 in their repayment, according to Nationwide. The Bank of England has raised interest rates to their highest level in almost a decade but what are the effects of an interest rate increase on day-to-day finances? It is a modest increase of 0.25 percentage points to 0.75%. Households can expect the cost of their loans and mortgages to go up as banks and lenders lift their own interest rates. Savers, who have had the most to complain about in the low-interest rate environment, may see a modest gain. What will be the impact for my mortgage? “The vast majority of new loans, 90% are on fixed rates. Back book (older mortgages) about 66% so there is going to be no immediate impact in terms of affordability,” Mr Cutter said. According to the Nationwide Building Society, anyone on a standard variable rate will see an increase of £12 on a mortgage of £100,000 and on a £200,000 mortgage, £25. “The good news, of course, the rest of our membership, we have a million now, is the saving side because they have really suffered for ten years now. If rates do go up to 0.75% that will be highest since early 2009. So hopefully some relief coming down the line as well,” Mr Cutter said. 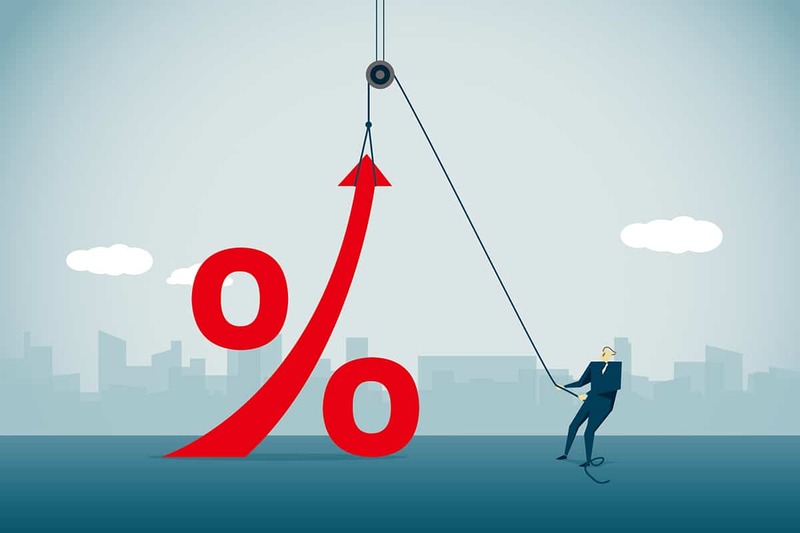 While savers may be hoping for better returns, Bank of England statistics show that the average interest rate on UK current accounts increased by only 0.09% in the seven months since rates were increased by 0.25% last year. Will this bring down prices at the shops? While the Bank of England has raised interest rates partly to tackle inflation, this move will not be reflected in everyday prices for some time to come. It took six months for the effects of the Brexit-hit pound to raise prices as imports became more expensive. Retailers fear rate rises as higher mortgage and other bills for consumers mean they will have less money to spend. The BoE predicted that inflation would be 0.1 percentage points higher this year and next at 2.5% and 2.2% respectively. Are there likely to be further increases in interest rates? The Bank of England indicates that although interest rates are now on the rise, they are highly unlikely to hit pre-crisis levels of above 5% for the foreseeable future. And the “new normal” was half that, at 2-3% once inflation is included. The BoE signalled it was in no hurry to raise interest rates further as Brexit approaches.